Jane Austen's Emma has been a favorite novel for Austenites since 1816. But while the story of its heroine Emma Woodhouse is well known, the same can't be said for her childhood friend, Jane Fairfax. The turmoil underlying Jane's obscured background and reduced circumstances have always remained a mystery for readers of Austen's beloved novel. Now, at last, we learn her whole story in Joan Aiken's superb retelling of Emma-this time from Jane Fairfax's point of view. 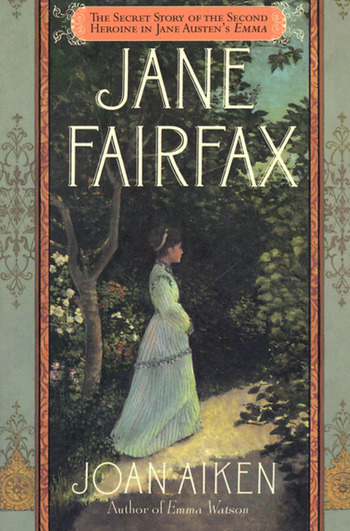 When Jane Fairfax was originally published, Aiken's wit, style, and skill prompted Booklist to say, "Brilliant...extraordinarily well done and highly recommended." Austen fans won't want to miss this worthy companion to the original, now available in paperback for the first time. Joan Aiken (1924-2004) is the renowned author of over ninety books for adults and children, including plays, novels, and collections of poems and short stories. She has received much recognition and numerous awards for her work. The Wolves Chronicles, one of her best-known works, features The Wolves of Willoughby Chase, which has sold nearly 4,000,000 copies worldwide. Aiken lived in Pentworth, England, and America.